The ‘Ayodhya controversy’ is not about the Ram temple, it is about the forcible occupation of a functioning mosque. The gradual erasure of the words ‘Babri Masjid’ from our everyday memory actually began in 1986, when the Hindu community was granted the exclusive right to worship there. This happened without any regard ownership disputes the and illegal conversion of this mosque into a temple in 1949. This story of the dispute itself is disputable. It is imperative to revisit three interesting moments, which no one talks of these days. On the night of 23 December 1949, a group of local Hindus entered the mosque and installed the idols of Lord Ram inside it. Although the police filed an FIR in which the building is clearly defined as a functional mosque, the local administration took charge of the building, and without removing the idols from the mosque space, declared it a legally “disputed site”. Interestingly, the Muslim demands to offer namaz inside the mosque was rejected, but a Hindu priest was allowed to offer bhog to the idols kept inside. The Babri Masjid dispute was a highly localised issue between Hindus and Muslims of Ayodhya. It became a civilisation conflict between Islam and Hinduism only in 1984, when the Vishva Hindu Parishad (VHP) discovered it. In fact, the Rashtriya Swayamsevak Sangh, the Hindu Mahasabha, or even the VHP never showed any interest in the Ayodhya dispute before 1983. 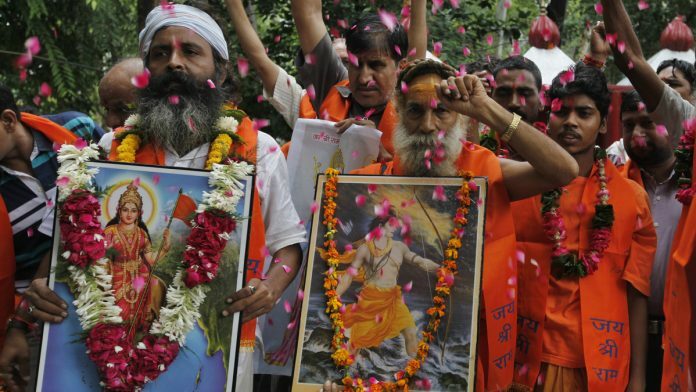 The VHP launched a Rath Yatra in 1984 in UP. This was the first time when the term ‘Ram Janmabhoomi temple’ was referred to the site of Babri Masjid. 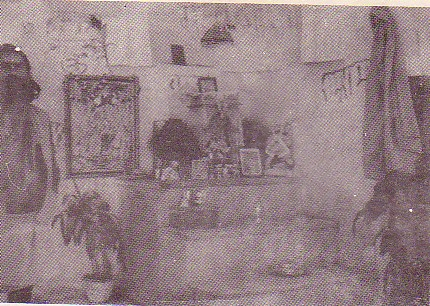 On 25 January 1986, a local lawyer, Umesh Pandey filed an application in the Munsif court for granting permission to Hindus for unrestricted puja at the disputed site. This application was rejected by the court. Nevertheless, Umesh Pandey filed an appeal against the Munsif court’s order before the district judge, Faizabad, on 31 January 1986. This time, the local Muslims also approached the district court. They filed a counter application in favour of status quo. On 1 February 1986, the district judge rejected the application filed by the local Muslims. After hearing the statements of the district magistrate and the superintendent of police, he allowed the Hindu community to have unrestricted puja etc. inside the Babri Masjid. The judge said that the Hindus had been worshipping at the site, though in a restricted manner, for the past 35 years. Thus, “heavens are not going to fall if the lock of the gates is removed”. Following these orders, on 2 February 1986, the gates of the mosque were opened for Hindus for unrestricted puja. During 1986 and 1992, the Babri Masjid emerged as the most powerful symbol of conflict between Hindus and Muslims in India. It provided a much-needed unity to Hindu communal forces, but also created a majoritarian discourse in which there was no space for Muslims. On 6 December 1992, the leaders of VHP/RSS/BJP announced that they would perform kar seva at Ayodhya; the UP government gave an affidavit that it would protect the mosque; and in the presence of top leaders of the BJP, the mosque was demolished. The demolition was not the outcome of a sudden outburst. The so-called Hindu kar sevaks demolished the structure, removed the old idols from it and, finally, installed the new idols of Lord Ram exactly on the spot of the mimbar (pulpit) of the mosque. 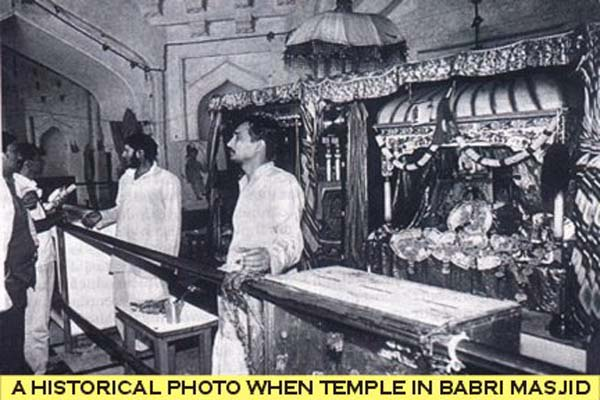 As a result, a makeshift temple of Lord Ram was established on the site of the Babri Masjid. On 7 December 1992, when the entire political class was involved in the blame-game, the VHP filed a petition before the High Court for allowing the Hindus to visit the makeshift temple. The judiciary, once again, followed a technical approach. This demand was accepted, and on 1 January 1993, the puja of the idols inside the makeshift temple was allowed, as was unrestricted access to the general public. The much-publicised Supreme Court case, interestingly, is not about the criminal act of demolition. The Supreme Court has to decide the ownership of the site where the Babri Masjid once stood. There is, on the other hand, a special CBI court in Lucknow hearing about the events of 6 December 1992. The “Ayodhya controversy”, thus, is not about the Ram temple, primarily because there is a functional temple of Lord Ram since 2 February 1986. Rather, it is about the forcible occupation of a functioning mosque, its planned desecration, and above all, its conversion into a functional temple. This is the reason why we must address it as the “Babri Masjid controversy”. Good Article: Now answer this question. Why Muslims did not show any interest to reclaim their so called functioning mosque from 1949 to 1986. Why the secularest of the secular Chacha Nehru did not remove the illegally placed idols during this unchallenged reign from 1949 to 1964. Well argued article. The author’s view always provide a new insight on political matter in India. I completely agree with the view expressed here.